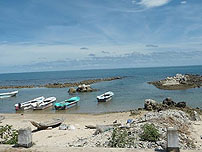 Sri Lanka offers many hotels that are up to the International Standards. 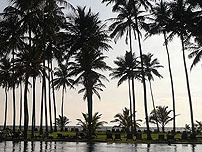 Many of them are 5, 4, and 3 Star class hotels as most of them are located in Colombo to serve Business Men, Tourists and visitors to this island nation. There are many Boutique hotels, lean luxury hotels and budget hotels too available around the island which offers affordable room rates. These hotels can be booked through online booking facility or through us. 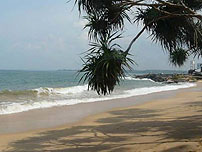 When you are ready to tour Sri Lanka destinations you must book hotels for to stay. Also you may like to have vacation at popular beach resorts, so you can get a holiday package from us where it will provide you with 3 star hotel for your stay with dining facility. As a travelling tourist you can find many kinds of accommodations here like Resorts, Beach front hotel, Budget Hotels, Ayurveda Hotels, Villas, Golfing Resorts and Lodges, Service Apartments, Mansions, Tea Plantation Bungalows and Guest Houses. If you want to go on motorbike tours you may need to book some of the hotels with star class selection or motels for yours over night stay. If you like we can take care of them on your behalf. These hotels not only offer rooms with beds for rest, many of them offer Gym, Spa, Bar, Entertainment, Karaoke bar, Swimming pools, Wi-Fi and many other facilities that you may need. In these places you can experience Srilankan hospitality and specially prepared dishes for your family, friends or group. During the tourist season there may be lot of tourists coming here, if you can't find your favorite hotel in this time, don't worry, Mr. Dayan Chinthaka will be at hand to provide you with clean rooms with best sanitary facility along with mineral water and tasty food with local fruits at affordable price. We make your trip to be enjoyable one all the way. Book your rooms with us now.